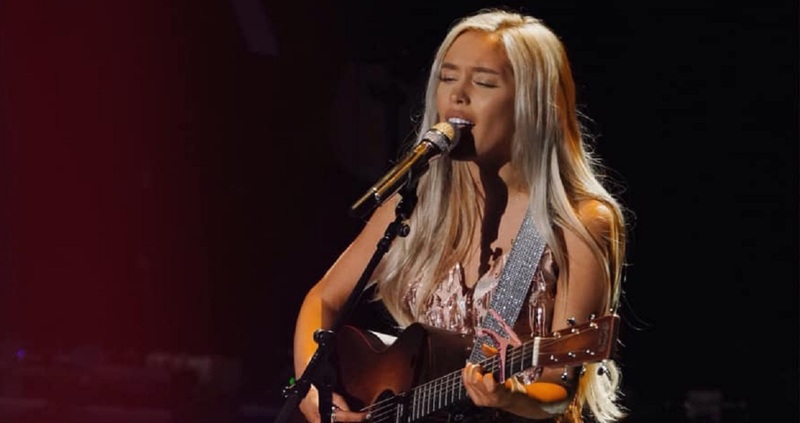 Enjoy watching as Laci Kaye Booth Sings Fleetwood Mac for her top 10 performance on American Idol 2019. . .
Laci Kaye Booth Sings Fleetwood Mac for her Top 10 Reveal Round of American Idol 2019. Laci sang Fleetwood Mac’s “As Long As You Follow” in front of a live audience and judges Luke Bryan, Lionel Richie, and Katy Perry. This song followed her past round cover of a Blink 182 song. Watch Laci’s live performance and compare her rendition to the original Fleetwood Mac performance below. Enjoy the Fleetwood Mac official music video for this song and check out the lyrics below. Remember to share this with other Music fans.